Not that long ago I wrote a post about a high school football game in Texas where one team defeated the other by a score of 91 – 0. Now comes a college basketball game in which a Division I team beat a small school playing for the Association of Christian College Athletics league 116 – 12. In both games it was a case of a team that was completely superior dominating an opponent. In my post about the football game between Aledo and Western Hills I noted that the coach of Aledo put into place a number strategies to limit the score. He played largely backups starting as early as the first quarter, insisted on fair-catches for punts, used simple running plays to virtually every backup on the team including wide receivers. Aledo led 56 – 0 at halftime and then scored 35 more points in the second half. I think what Coach Tim Buchanan of Aledo did was exactly correct for the circumstances. I think kneeling on offense instead of running plays would be more embarrassing for Western Hills. I think telling players to ease off is insulting to the other team. In those circumstances a class act does exactly as Coach Buchanan did. Try to limit the embarrassment but play the game. Coach Buchanan and Aledo went on to win the 4A State Championship game with a 38 – 10 victory over the Brenham Cubs. Congratulations to the Aledo team and coaches. 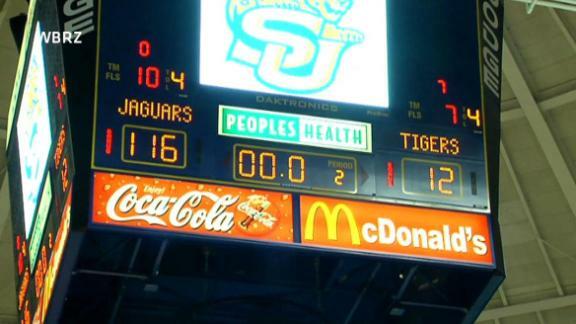 Now to the basketball game between Southern University and Champion Baptist College. Southern scored the first 44 points of the game and led 57 – 6 at the half. They scored 59 more in the second half and according to reports engaged in a full-court press for most of the game. Coach Roman Banks of the Southern Jaguars had all five starters in the game for 20 minutes or longer. A college basketball game lasts forty minutes. I don’t think Coach Banks is obligated to play backups, to call off the press, to insist on passing the ball five times before a shot. It’s his team and he thought they needed to work on the press for upcoming conference games. He felt his starters needed minutes. My opinion is pretty meaningless in all of this. Coach Banks is going to run his team the way he wants, as will Coach Buchanan. This world needs more people who display dignity both in defeat and victory. Anyway, I’ll be rooting for Aledo and Coach Buchanan to continue their winning ways. Stupid Headline of the Week – UFO or Meteor? 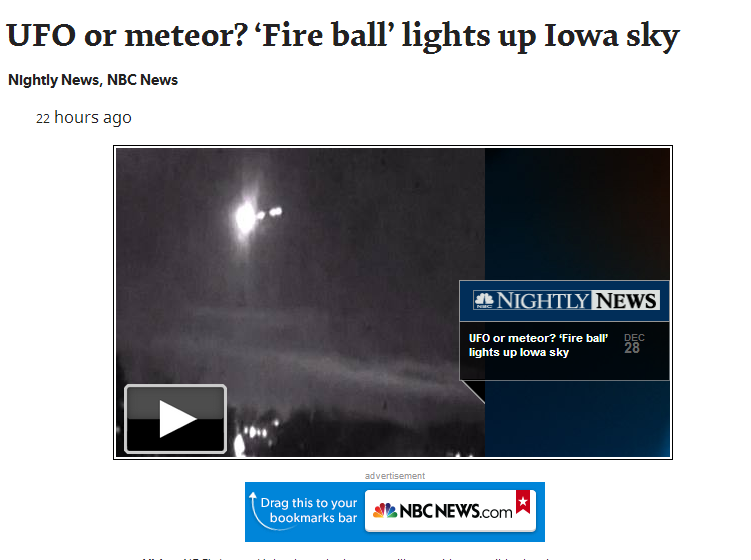 Well, duh, it’s a meteor and a pretty cool one at that. Someone took a very nice video. Do we really need to suggest that it’s a UFO in order to get people to click on the story? What’s with the apostrophes around the two-word ‘Fire ball‘. I think Fireball would have been sufficient without added punctuation but maybe I’m being overly sensitive. Really, NBC Nightly News? You win, Stupid or Misleading Headline of the week! Not too long ago my friend shared an article on Facebook about Truth in Advertising. A professional photographer took images of fast food in advertising and compared them to pictures he staged with items recently purchased from the same vendor. I just read about the controversy over plus-size Barbie dolls which erupted after a plus-size modeling website posted an image of a rather large Barbie. 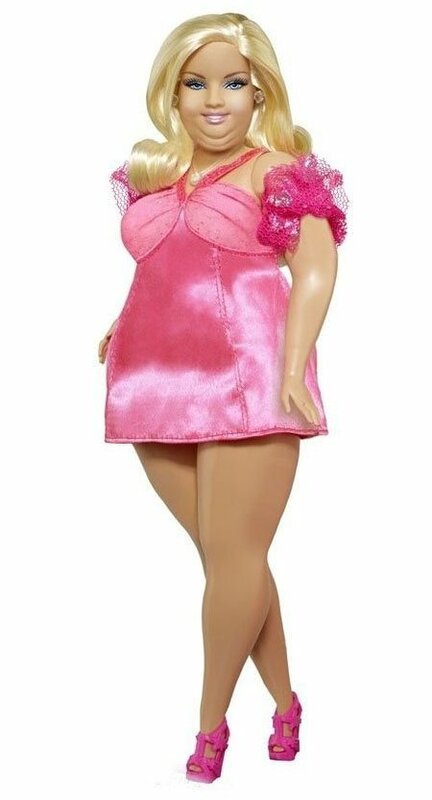 The controversy is that the picture in question has not an average size Barbie but an obese Barbie. This has outraged some people who now demand average Barbie. After I read the first article posted by my friend, I went to Wikipedia and looked up the legal definition of False Advertising and found it to be slippery. The Barbie situation isn’t false advertising so much as it is giving young women unrealistic body expectations or, in the recent case, telling young women that being morbidly obese is just fine and dandy. Both of which are bad things. While the two examples I’ve cited are certainly not completely comparable; I do think there is an interesting correlation between them. Both the fast food hamburger and the super-slim Barbie are unrealistic. 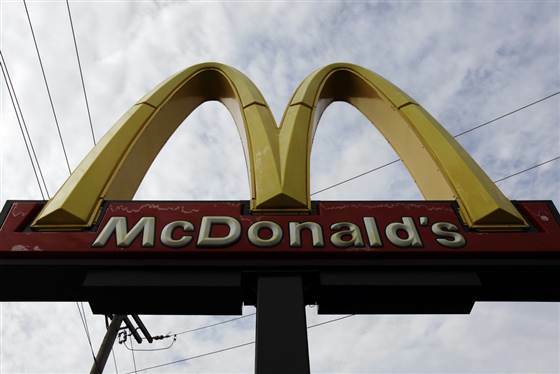 No one expects to get fast food that looks like the image in the ad and no woman (except her) looks like Barbie. The question that has been percolating in my mind since that first Facebook share is what should the government’s role in all of this be? I’m convinced that there should be legal ramifications for False Advertising. This is something that should be a crime and is potential dangerous. Medicine sold under false pretenses comes immediately to mind but any safety device that doesn’t work as advertised is clearly a danger. That being noted, I’m sure that a taco that looks nothing like the picture on the menu isn’t particularly dangerous and the consumer can easily avoid the store after one such experience. The damages amount to a minor financial loss. I don’t think the government needs to be involved here, people can figure it out for themselves without facing serious hazards. Likewise, I’m not convinced that the government should be in the business of promoting what the ideal woman, or man, should look like. Yes, that taco is nothing like the picture. Yes, that Barbie does give girls an unrealistic body image. No, it’s not the government’s job to protect us when we are perfectly capable of protecting ourselves. The Libertarian ideal is often counter-intuitive. If we force people to look at the food and make their own decisions on its appeal, if we educate young people about eating healthy, if we make people aware of realistic body expectations and how to eat and exercise to attain such a look, if we teach people to beware in a dangerous world; then we make the world a safer place, far safer than when we try to legislate such outcomes. An oversimplification would be the example of keeping a child in a cave to protect them from the world outside. We suppose that we are doing good but we are doing real harm. The child will be overwhelmed once they leave that safe environment. The government has an important role in society. But it isn’t to protect from all ills that might befall us. I just read an interesting article about how private industry has entered the education business with what some people would call Manners Classes. The classes teach children as young as five things like making eye contact and smiling when they meet people and also which fork to use at the table. They try to teach skills that are necessary for people to get along socially. I didn’t know what to make of the story to begin with. These are the sorts of things that were generally taught to children by their parents and that they need to have these classes outside the home is at first off-putting. However, there is no doubt in my mind that people are less polite than they used to be. The article suggests that social media bears part of the responsibility in that people communicate without physically being near one another far more than in the past. Certainly the anonymity of the internet comment section allows people to display the worst kind of vicious and boorish behavior without any consequences. Even the comments below the article in question were often nasty and ill-mannered with the person making the comment not grasping the ironic nature of their missive. Read a blog, watch a news broadcast, listen to a politician, listen to your neighbor at Christmas dinner tonight and tell me where you see decency. Where do you see people listening to the ideas of those who don’t agree with them? Where do you see people politely discussing their differences and finding reasonable compromises? If you see what I see, it won’t come as a surprise to you that children lack manners, lack common decency in dealing with others, lack civility, lack the ability to compromise, lack the qualities that will carry the United States through the difficult times ahead. 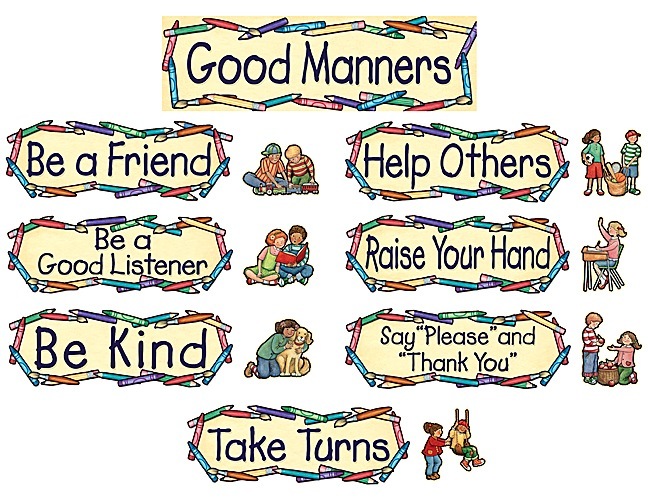 I’m not opposed to classes that teach politeness and manners, I’m for them. However, I recognize that you can take as many classes on a topic as you want but if you are surrounded by mean-spirited nastiness, with inability to work with those that don’t completely agree with you, with people spewing angry rants who think their words are the only ones that count; well, children are going to follow those examples. If we want children to learn to work together and accomplish things, if we want children to engage in real discussions and compromises that benefit the United States, if we want children to make the most of their lives; then the best way we can accomplish it is to lead by example. The next time someone expresses an idea different from what you are advocating, take a moment to examine it for its real value. Look at the idea and forget your preconceived notions. Take a moment to research the facts. Speak politely with the person and express your ideas on why they are wrong. Understand that the world is rarely black and white, that most ideas have at least some merit. Consider that others are looking to you as a leader, as an example. When you are watching the news or reading a story take the time to examine both sides of the issue with an unbiased perspective. Take a little time to do some research and read up on both ideas. Consider that there might be a compromise that allows for the good ideas from both sides of an argument to best achieve the goal. Consider that the ideas you promulgate might have drawbacks. In other words, set a good example. That is, if you think being polite and mannered is a benefit to society. If you think people having the ability to work together rather than shouting each other down is a good idea. If you are for implementing your will completely once you have enough power to do so, then perhaps you like the way things are going in this country. If you think the next generation is impolite, ill-mannered, and unwilling to compromise, then it’s because they learned it from the previous generation (you). As simply as I can distill it, show some class. There’s an interesting story making the rounds about the star of a television show called Duck Dynasty. The story seems to engender a great deal of confusion about the First Amendment to the Constitution and the idea of Freedom of Speech. The confusion runs so deep that even the governor of Louisiana, Bobby Jindal, apparently has no idea what the Constitution means, and that’s a scary thought. A governor who is totally misguided about the Constitution of the United States! What happened is that Phil Robertson said some things about homosexuals and blacks that people found offensive. The network where he worked, A&E, suspended him for these remarks. Immediately following the suspension people began to talk about the First Amendment to the Constitution and the concept of Freedom of Speech. They seem to be under the bizarre illusion that you can say anything you want and face absolutely no repercussions. This is in no way, shape, manner, or form the idea of Freedom of Speech. Depending on what state you work in you can be fired without cause at any time. What do you expect would happen to you if you went up to your boss and told them you paid their spouse five dollars for a sexual liaison down in the alley? Fired! You betcha. Could you be thrown in jail? No. That’s the point of the First Amendment and I absolutely shudder in disbelief when someone who is the governor of one of our states apparently doesn’t understand this. When I see comment sections filled by inaccurate statements about the First Amendment it doesn’t bother me too much, it bothers me, just not to the point of writing a blog. A lot of people just aren’t that smart. They have no idea what the Constitution is about nor what Freedom of Speech means. 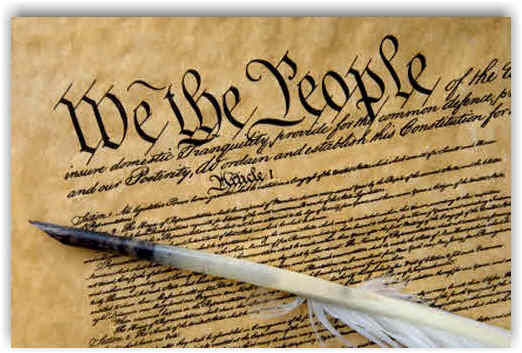 The pertinent part of the First Amendment reads: Congress shall make no law … abridging the freedom of speech. What part of that could possibly be unclear? There shall be no laws written to prevent people from speaking freely. Generally this means political speech but it can cover other things. Over the years certain types of speech have been ruled not to be subject to the Amendment. Yelling fire in a crowded theater being the primary example often used. How on earth can anyone think that A&E is passing a law by suspending Robertson? Robertson has every right to express his opinion. Those who support him have every right to support him as loudly as they want. Those who oppose him have the same right. 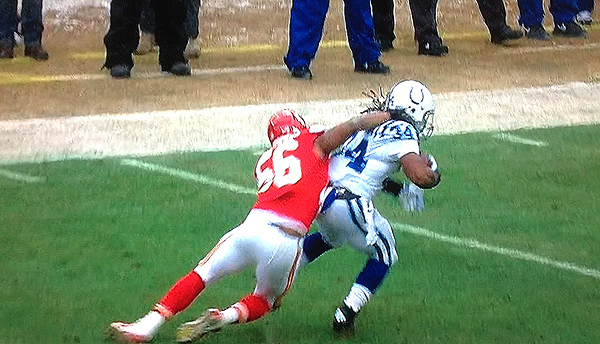 However, Robertson is not free from repercussions. This has nothing to do with the First Amendment. Go on, tell your spouse how fat they are, see how much the Constitution protects you from the wrath that follows. I absolutely support Robertson’s right to say whatever he believes. I support A&E’s right to suspend whoever they want, it’s their network. I applaud Robertson for stating his mind. Now he has to live with the consequences of that decision, good or bad. It has nothing to do with Freedom of Speech. My advice to Governor Jindal and everyone else who is foggy on the First Amendment? Read the Constitution, good stuff there. Why Broad Laws can be Abused – Rebutting my Own Blog! Yesterday I wrote about why broad legislation that leaves interpretation in the hands of law enforcement officers is generally more effective than narrowly written laws that aim to stamp out a particularly misdeed. I saw a story in the news this morning that fully explains why people don’t agree with me. In this case a city ordinance prevents people from washing their cars in public places. One person called the police to investigate a neighbor washing their car in the driveway of their home. 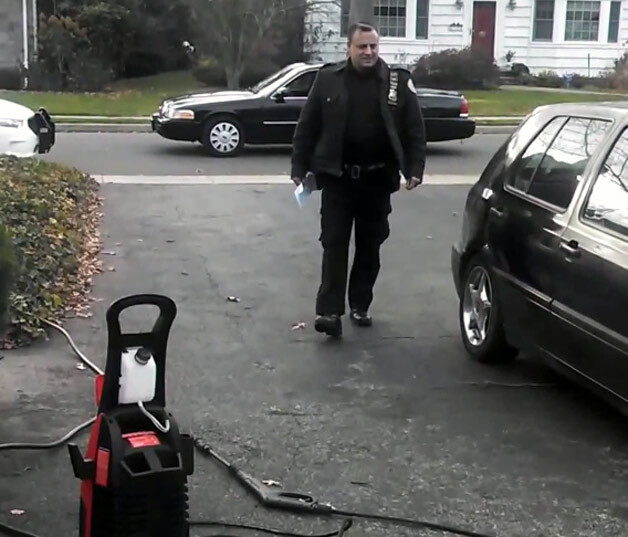 The investigating officer explained to the two men that while the driveway was a private location it could be seen from the street and thus was a violation of the ordinance forbidding washing of cars in public places. There is clearly a lot more to this story than the one angle. The officer intimates that the men are doing other illegal things and that the police will pay more attention to them in the future and to avoid such scrutiny they’d be wise to skip washing their car. The car was newly purchased and rather beat up indicating several other possibilities. There is clearly a history between the neighbors. It seems to me the officer would rather be just about anywhere else. He was ordered to perform this duty by a superior and was thus obligated to do it. That being said, the reality is that a reasonable ordinance was being abused to harass people. This is the argument against my broad legislation idea. That if police are allowed to use discretion, they will inevitably abuse that discretion to the detriment of the people they are supposed to protect. I do not deny for a moment that when we leave interpretation of laws up to individuals we do open ourselves up to such events. That people do not always have the intent of the law in their mind and sometimes use such laws to intimidate and harass people. This argument against my broadly structured laws is not only reasonable but clearly factual. So, am I recanting my original blog? Nope. I think the system will always be open to abuse no matter how carefully and narrowly the laws are crafted. Those in power will be tempted to use that power to further their own short-term interests to the detriment of society as a whole. I still think the best long-term solution is to have broad-based laws that address underlying issues rather than narrow laws designed to avoid abuse. The reality is that until we actually embrace the ideas of Libertarianism within our entire society there will be abuses. There will almost always be Bad Apples. I’m just of the opinion that we need to examine each apple individually and keep the good ones. In the case in question there were a number of Libertarian based solutions that could have stopped the situation. Whoever at the police station that made the decision to dispatch the officer could have told the person who complained no, that washing a car in a personal driveway was not a violation of the ordinance. The investigating officer could have told his superior that he would not go, if further ordered could have lodged a complaint with the appropriate superior. Finally, the neighbor could have used a little personal judgment and not lodged the complaint at all. Someone should be held responsible for what happened. The neighbor for filing a frivolous complaint, the officer for his role, or the superior for giving the order. I’m not saying fire anyone. I’m saying train them to behave responsibly and reward them when they do. When other people refuse to act responsibly you don’t have to follow suit. Every time we act responsibly we set an example for others. Our lives, our decisions, our actions. Earlier today I posted about a law recently passed here in a suburb of St. Louis, Missouri in which a person caught texting and driving will face maximum penalties of $10,000 in fines and ninety days in prison. I immediately got into several discussions, both social media and face-to-face, about the merits of my ideas. My theory was that the real problem was Inattentive Driving and that texting while driving was only one example. That by passing a law very specifically aimed at this one kind of Inattentive Driving the municipality was opening itself to some trouble. The idea is that an officer would be responsible for upholding the law. If a person was texting but the car wasn’t moving; they would be in violation of the law. Also, an officer would be obligated to write a citation for a less-distracted driver texting and not so obligated for a more distracted driver who say, had a wasp fly in the window and land in his lap (I speak from experience). I argued that a law against Inattentive Drive was broader in reach and would allow law enforcement officers to use their judgment and common sense in handing out citations. The thrust of most of the arguments against my method were two-fold. One was that of all the events that distract a driver it was texting that was the most likely to cause an accident and therefore the best bang for the buck. The other was that my law against Inattentive Driving left far too much discretion in the hands of the officer of the law. That laws needed to written so that there could be no confusion carrying them out. In particular the second objection speaks to the very heart of the Libertarian ideal. It is the bad apple spoils the barrel philosophy, the zero-tolerance philosophy, the mandatory minimum sentencing strategy. The idea is that we cannot trust individuals to make decisions therefore we must pass restrictions narrowly and take power away from the individual. 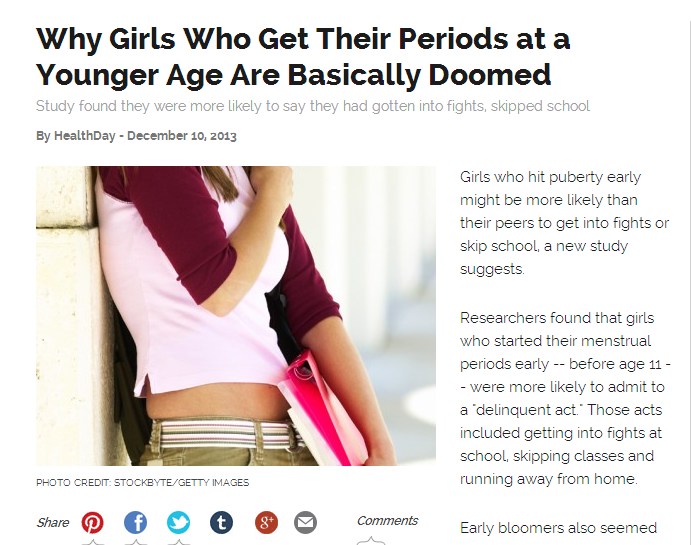 Your daughter was thrown out of school for having a Tylenol? Not my fault, zero-tolerance. You were ticketed for texting while stopped in a traffic jam? Not my fault, just upholding the ordinance. You were given ten years for having a small amount of marijuana? Not my fault, it’s the law. These kinds of laws are made with the best intentions but largely take us into a Libertarian nightmare. It seems self-evident to me that as we give people less and less responsibility they will be less and less responsible. I suggest we give people more responsibility and if, and only if, they prove untrustworthy should we take it away. If there’s a bad apple in the barrel, then throw that one apple away. If an officer hands out a ridiculous Inattentive Driving citation using my broad law then bring in the officer for more training. If the officer persists, fire them. Libertarianism works when people are responsible. People become responsible in one way. 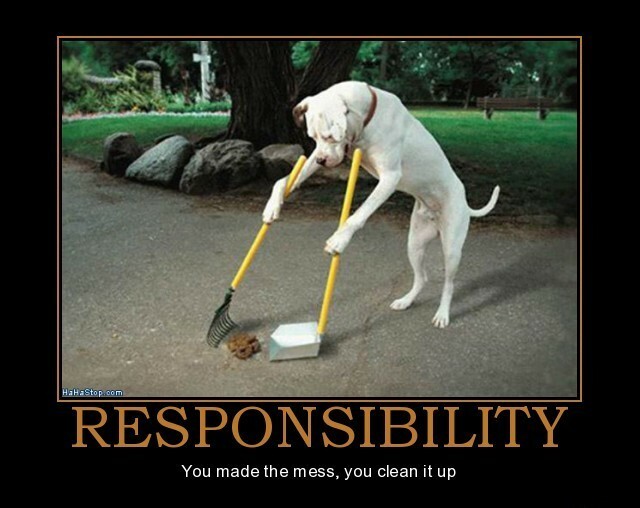 By being given responsibility and being held accountable for their actions with that responsibility. If they handle it well they deserve promotions, upwards movement into management where they will train others such responsibility. If they don’t; they will be trained, disciplined, and eventually fired. The heart of my argument is that by passing Bad Apple laws we are lessening the likelihood for just outcomes by increasing the number of people in the world who do not know how to behave responsibly. I freely admit that passing broad laws opens them to possible misuse. However, I argue that narrow laws designed around the Bad Apple principle eventually result in a far more unjust society. In the ideal Libertarian world everyone does what is right because doing what is right is in their long-term best interest. You don’t have to tell me that this world will never be. I realize this. It just seems to me that if we want a more fair world, a more just world, a world wherein people behave responsibly and ethically; the path is not to micromanage people’s lives. It is to give people an understanding of what it takes to succeed and of how ethical behavior benefits all society in the long run. If you want a strong society then give people responsibility, don’t take it away. One of the municipalities here in my home state of Missouri just passed a law that would incarcerate people for up to 90 days if they are found guilty of texting and driving. Such texting laws have sprung up over the last few years in many states. I find this to be an example of legislation with the right idea but poor implementation. The problems are that the law covers a specific act and also doesn’t take into account various mitigating circumstances. The entire state of Missouri bans texting while driving for everyone under the age of 21 although not for anyone older. Here are my issues. The act covers specifically texting while driving but not anything else that could easily be a distraction. Eating, drinking, swatting unruly kids in the back seat, putting on your makeup, or jamming out on air guitar when Don’t Stop Believing plays on the radio (guilty). The other problem that my friend Lisa pointed out with a Facebook post was the idea of texting while the car is stopped in a traffic jam or at a long light. This leads me into a Libertarian rant on the objective of a law and the actual legislation that is passed in an attempt to bring that law to the people. This is where everything often falls apart. In this case what we want to stop is people not paying attention while the car is in motion, what is often called Inattentive Driving. Our legislatures, elected by us, often pass laws that do little to stop the underlying problem and end up causing more harm than good. I’m not opposed to laws against texting while driving; I just find it to be an exercise in futility. People will be inattentive in ways not covered by the law. It seems fairly simple to me that if you want to pass a law wherein people can be punished for driving in an inattentive fashion that going after the activity piecemeal is a bad strategy. Why not just make a law against inattentive driving? An officer sees you driving inattentively for whatever reason and tickets you. You can take the case to court and argue with a judge or pay the fine because you were actually in violation. This is an example of a simple law with each case adjudicated by the individuals involved. Naturally we must take precautions against overly eager police officers but that is the case with the texting law. It’s certainly possible to cite a driver for the violation even if the driver isn’t actually driving at that moment, stopped at a light for example. Or to charge a texting driver while ignoring someone else being even more inattentive for a non-texting reason. I find that more general laws are often more effective and more fairly applied. Laws that target very specific actions tend to be easily circumvented. It won’t be long before people are driving fully automated cars and they should certainly be allowed to text, watch TV, take a nap, or just about anything else while the car is in motion. One of the ways to lead a productive life is to determine the nature of the obstacle that confronts you before beginning to try to find a solution. If you do not understand the problem your attempts at a resolution are often doomed to failure. 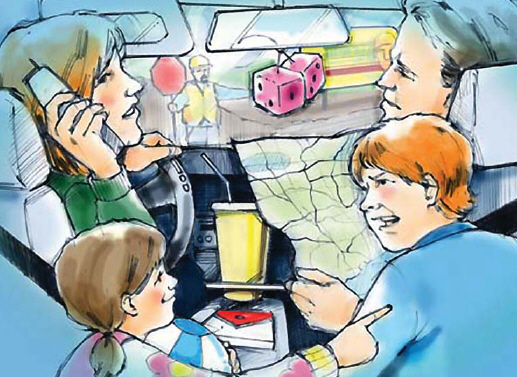 In this case, the problem is Inattentive Driving, not Texting. Make a law that addresses the problem. Garden of Eden, to Stay or Leave? I wrote a post about the nature of Satanists not long ago and in it I discussed their belief that Satan offered humans a real life outside the Garden of Eden when he suggested that Adam and Eve eat of the Tree of Knowledge. I wanted to explore the idea of Garden of Eden as it is understood from a religious perspective. In the spirit of full disclosure: I am an Atheist. I don’t believe the Garden of Eden existed. I don’t believe God exists. I don’t believe Satan exists. I don’t believe that mankind started with Adam and Eve or that they had to make a decision about eating of the Tree of Knowledge. However, there are a lot of people who do believe that particularly story and this is what I want to discuss. If you believe the story of Adam and Eve is true, then, facing a similar circumstance what choice would you make? In the Garden of Eden man was created and tends the garden. For this duty man is granted a life of eternal ease, free of both good and evil. Man has everything provided for him. He is immortal. 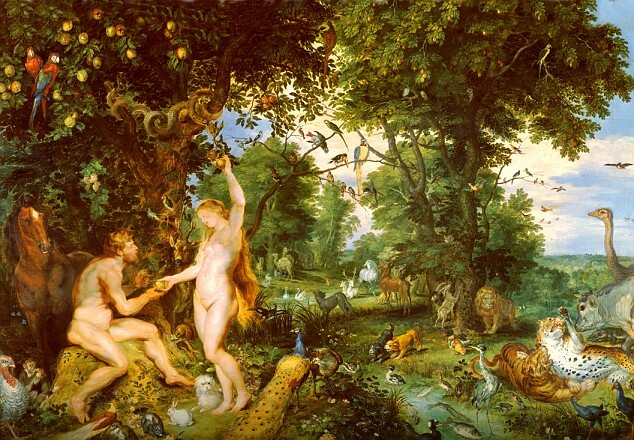 Adam and Eve frolic throughout the Garden of Eden in what those of a religious mind will tell is a Utopia. God forbids Adam and Eve to eat of the Tree of Knowledge telling them that if they do so, they are doomed to die. He does not also tell them that all their children will be bathed in this sin and forever tainted and evil unless they ask forgiveness from God, Original Sin. So, that’s the scene. You are living in a beautiful and fertile garden. Everything you want is there and you are not troubled by danger, death, disease, or wild animal. You are immortal. You will live forever and your one duty is to tend the garden. There are no books to read because knowledge is evil. You are a pet. Satan comes along and tells you that the Tree of Knowledge, which has been forbidden to you by the master of the house, will free your mind to experience life but that this experience is not all good. There are many bad things outside the garden. That in order to experience the good in life beyond the garden you must be willing to accept the bad as well. If you eat of the Tree of Knowledge you will know good and be able to enjoy it fully but also know evil and feel its pain. Herein rests one of my major problems with Judeo-Christian-Islamic philosophy. Not only has God created a couple of mindless pets so that he can enjoy watching them but he has placed the ability to become much more in their midst and forbid them from partaking in it. Any parent who place a toy in a room and tells their child not to play with that toy knows the result of such foolish behavior. Even worse, because Adam and Eve make the right choice, they choose to live life fully rather than as pets of God, he punishes all of their children for eternity. This is not a God I would want to worship even if I thought for a moment he existed. This is a vindictive god who little understands his creation and merely wants slavering love with no actual thought behind it. This is a vile creature. This is the thing that so many religious people worship. Not only do I not believe in your God but if he were to come forward and show me his existence I would tell him to go crawl back into his hole. I will eat of the Tree of Knowledge. I will suffer pain. I will lead my life on my terms, fully and completely. I reject your Garden. I reject your damnation. I reject your philosophy. Once again Motley Fool rises to the occasion. They are truly the King of Misleading and Stupid headlines. It’s interesting as they purport to be sound financial advisers. Would you take financial advice from someone who posts misleading information? I wouldn’t. What is the story really about? Do I really need to explain the stupidity that is the headline? Why, yes I do! The military is decommissioning about 350 Kiowa scout helicopters. They military thinks the upkeep on the machines and the training required for mechanics is not necessary. The article mentions other helicopters doing the job in its place and the cost associated with this; but conveniently forgets drone technology. The article advises investing in defense companies that don’t make the Kiowa because someone else will have to provide the military with hardware that does this job. There are reasonable points in the article. The helicopter is being decommissioned. There will have to be a replacement but to categorize it as a “Huge Mistake” and a way that investors can profit from it is utter nonsense. This week in Stupid and Misleading Headlines brought to you, as usual, by Motley Fool. I’ve been following events in North Korea although not particularly closely and came across this story today. My immediate reaction was echoed in the comments below the story and it brought forth some ideas I think worth examining. I’ll recap for those who have not been watching closely. North Korea is probably the closest thing to a Totalitarian state that exists in the world today. This is a state where the government controls everything from the big to the small. The historical examples of this sort of government include the prominent Fascist states of Nazi Germany and Italy in the late 1920’s through the end of World War II. Stalinist Russia after the war also applies. This need to control every aspect of life generally leads to horrific persecution of anyone who disagrees with the regime that wields power. Much of the Constitution of the United States attempts to prevent such a government from arising here. In any case, the situation in North Korea is that the new ruler has consolidated his power by removing one of the most powerful men in the nation. This man was executed along with several of his allies. Other allies are currently serving as ambassadors elsewhere in the world and have been recalled to North Korea. This recall got me thinking. My immediate reaction was that the diplomats should refuse the recall and stay wherever they are assigned. Several people in the comments thought the same thing although the immediate objection was that those diplomats, if they refused the recall, were sentencing their family and friends to certain death. It’s true that the family and friends of the diplomats might be executed anyway. 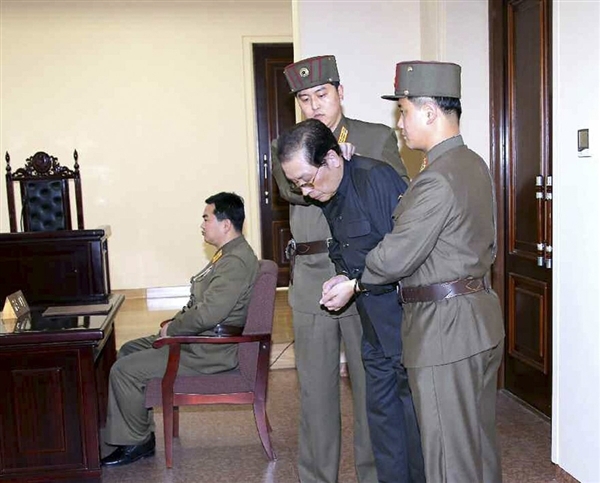 Even if the diplomats return to North Korea they might be subject to horrific torture along with their families. However, if they don’t return they are essentially abandoning their family, their friends, and their country. I started to think about people like Erwin Rommel who was forced to commit suicide so that his family would not be arrested and tortured. I started to think about the way despotic regimes use the concept of honor and loyalty against good men, good women. What choices do we have in life against those who understand what it means to be honorable but who do not make any pretenses of being so themselves? Anyone who has read my novel the Sword of Water, knows how Jon Gray handled such a situation but perhaps his methods are not always available in real life. I won’t spoil the book, you’ll have to read it yourself, but Jon has a certain style when it comes to things like that. I’m not even really asking what you would do, just contemplating my own life. My own reaction if faced with such a terrible decision. Abandon your friends and family to certain horrors or go back and face them yourself knowing you probably won’t save your family anyway. What would the remaining years of my life be like if I fled, saved myself? Would I ever be able to forgive myself? It’s a shame there are people like Kim Jung Un and nations like North Korea. I yearn for a world where people are allowed to simply achieve without strings pulling them. Where we’re not so concerned with everyone else. Where nations and people want what is best for everyone. Was the Biblical Satan a Libertarian? I came across an article about how a group of Satanists want to put up a monument outside the Capitol Grounds in Oklahoma City. 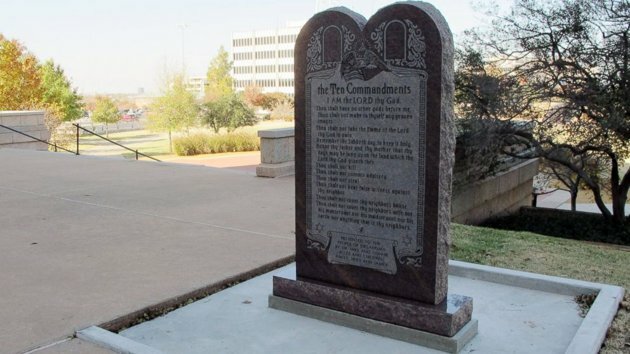 The Oklahoma legislature placed a Ten Commandments statue on the grounds in 2012 and now the Satanists want equal representation. This comes as no surprise to me. It’s only natural that when one religious group gets to build a monument on public grounds that everyone else will want to join in on the party. The article did lead me into an investigation of Satanism as a whole and I was particularly struck by the beliefs of what are called Theistic Satanists. There are other forms of Satanism but Theistic is the commonly associated ideology. They believe that Satan is an actual entity to be worshiped. This is somewhat in lines with Christianity where Satan is certainly a real figure although to be loathed rather than loved. A Theistic Satanist believes strongly in the power of self and the pursuit of knowledge. The biblical story of Satan has him exhorting Adam and Eve to eat of the Fruit of Knowledge so that they can fully understand and pursue their lives rather than live sheltered half-lives in the Garden of Eden. Very Libertarian indeed. They do not know evil and therefore cannot truly understand the nature of their lives. They also tend to think that Satan encourages self-improvement. That Good and Evil are defined as ideas that benefit or harm mankind. This contrasts with the more biblical view in which Good and Evil are defined by submission or rebellion from God’s will. This also is line with ideals promulgated by Ayn Rand who wants us to do our best in everything and that by achieving we make life better for our society and those around us. They argue devotion to God’s will is meaningless to the true definition of Good or Evil. That defining Good as being submissive to God undermines individuality and a person’s best interests. The Bible often equates evil that happens to people as being inflicted by Satan and Satanists view these as tests which make them stronger. That overcoming adversity is the fire that makes us strong and these challenges are brought on by Satan. Many Satanists believe in magic and some in animal sacrifice although I see no particular connection with a Libertarian in either regards. Of course, I think it’s all nonsense. I’m an Atheist. God is not real nor is Satan. Our lives are what we make them. Tests in life come through the natural course of events. Our parents will die, our friends and family will face illness and misfortune. Adversity is the price of life and not brought on by any outside agency. As to the monument? I suppose if you allow one religion to mount something you’ve got to allow the rest. I suppose this is what I get for reading so many news stories. The Save button vexes me, or at least the icon for the Save button. I turned on my computer at work this morning and was once again confronted by the diskette save button that seems ubiquitous on most software. I’m also annoyed by the designation of the C: drive. Why is the image for the save button a diskette? (no, it’s not a floppy disk, that’s something else, go look it up, I’m too lazy to show you). There was a good reason the save button was a diskette. The diskette was, for a short period of time, the way we saved files. It could hold up to 1.44 MB of data and every computer in the world had a B: drive which could read from the diskette. Yes, the B: drive. The reason it was the B: drive was because the aforementioned floppy disk was the A: drive. The internal drive eventually came along and was called the C: drive. You may have noticed that there are no drives for floppy disks or diskettes anymore. That we now save files either on the network, the web, or a removable USB drive. The diskette no longer has a place in the world. There is no A: or B: drive on your computer but there is certainly a strange little icon we use for saving things. I’ve often heard it referenced as “The little TV set button”. People in this world have a fondness for something called nostalgia. We remember past events with what are called rose-colored glasses. This is something we see every day in the world and it’s not necessarily a good thing. Wikipedia tells us: The term nostalgia describes a sentimentality for the past, typically for a period or place with happy personal associations. I’m of the opinion that a over-reliance on nostalgia can be a negative influence on life. When we base our behavior on misconceptions about the past it is bound to make our lives worse. As an example; there were good things about simpler times in the 19th century but there were also awful things as well. Women had few if any rights. Racism and anti-Semitism were the norms not the exceptions. If we yearn for a simpler time without understanding that we also give away the ability to travel long distances easily, eat oranges outside warm regions, have cold drinks, and many of the other things modern society offers us, we do a disservice to ourselves. My point in all this? I want to end the Save button icon as a diskette. It makes no sense to the modern users and thus can cause confusion. It’s bad in general. Death to the Diskette! P.S. Can someone please make the C: drive the A: drive and end that madness? 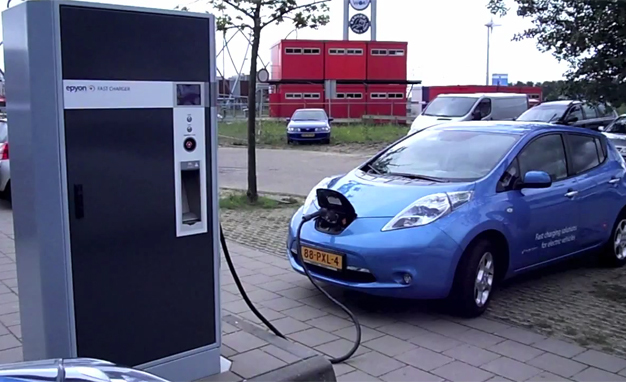 I just read an interesting story about how the owner of a Nissan Leaf plugged his car into an outside outlet of the Middle School where his son was playing in a basketball game. He did not have permission from the school administrators to do so although he had not been denied either. There was no one around and he plugged in. A police officer spotted the activity and took his information. Eleven days later an officer arrived at his door and arrested him. He was kept in jail overnight and released the next day. The story didn’t indicate if the police did an investigation and if the school administration wished to press charges. It’s difficult for me to believe this was the case but it is possible. The school might have wanted to set a precedent. Twenty minutes of electricity is the equivalent of about five cents. There are probably few among us who have not plugged in a device at an airport, a friend’s house, a coffee shop, or any other place where electrical outlets are available. The difference between the incidents is, I think, that the outlets at airports and restaurants are intended to be used by customers. That’s their purpose. The business places them there to be used by patrons. In this case that was not the intended purpose of the outlet. That being said, I’m not convinced that arresting Mr. Kamooneh was the appropriate course of action. Perhaps a warning was in order. Stealing five cents doesn’t generally rise to level where the police would normally become involved. Stealing is stealing, I agree. I don’t think the officer was out of line to question Kamooneh. Certainly the resources necessary to pick up Kamooneh, deliver him to prison, house and feed him overnight, and process him cost far more than the theft. On the other hand I certainly wouldn’t want a neighbor plugging into one of my outside outlets to power their holiday lights. This is the sort of case where I think everyone would have been a little better off with some common courtesy. Kamooneh should have gone in and asked someone if he could plug-in his car. I’m sure the answer would have been yes. 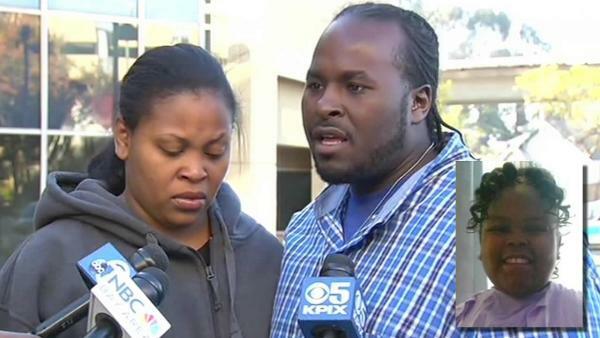 The officer should have told Kamooneh to go get permission and unplug until he had done so. A little decency, courtesy, and some manners can go a long way in life. 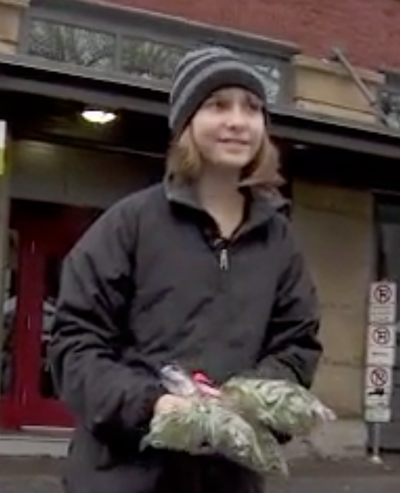 I read a lot of stories looking to find fodder for my blog and it seems to me that more often than not if people had just shown a bit of decency and kindness at the first sign of trouble that the ensuing disasters could have easily been avoided. What do you think? Criminal or not?